When interfaith prayer is too controversial for a memorial service in New York, it’s worth asking: how has America’s treatment of public religion changed? Our nation was founded as a beacon of hope for those facing religious persecution, a place where people of all faiths could live together in harmony. America used to celebrate diversity. Today, our extreme political correctness dictates that any public expression of faith is looked down upon and shunned. I’m sure that most of you are well versed in religion. At the same time, you may not know much about the people like me who regularly write about religion and politics. I think it’s not just being the grandson of an immigrant; it was the grandson of an immigrant who left Russia because of religious persecution. My grandfather faced that persecution at the time of the Russian Revolution, as a lot of Jewish people did in 1914, ’15, ’16 and ’17; and he came to the United States as a 14 year old. When he came here, I have this statue in my office which is a model of Ellis Island because my grandfather came through Ellis Island. . . . When I argue those cases at the Supreme Court of the United States—and I say this with deep admiration for living in this country—when they call my name and they say, “Mr. Sekulow, we will now hear from you,” (which they’ve done over a dozen times now and I’ve had a lot of cases up there, obviously), I always think about that. Here I am, Mr. Sekulow, the grandson of a Russian immigrant who came through Ellis Island, and his grandson is arguing cases before the Supreme Court of the United States. So I think both as it relates to this whole idea of religious freedom, but liberty and freedom generally, I take very personally. The exclusion of religion from public life is something my dad has been fighting against since he was thirty years old. In college, my Brooklyn-born father became a Christian. Yet, our family continues to embrace our Jewish heritage. You may be surprised to learn that some of my immediate family and nearly all of my extended family are not Christians. 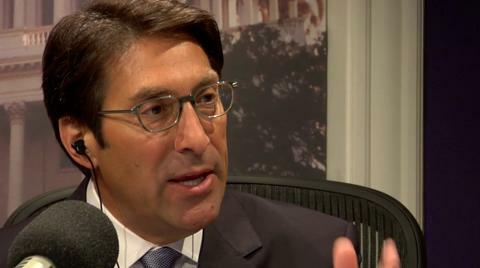 Sekulow’s run the religious gamut, from Orthodox and Reformed Judaism to evangelical Christianity. My brother and I were Bar Mitzvahed. My parents had two weddings on the same day – one at a synagogue, the other at a church. We don’t just support Israel because of its Biblical significance. The State of Israel is a modern refuge for the Jewish people, my family. Although I’m a Christian and my mother isn’t Jewish, I would have been Jewish enough for Hitler’s concentration camps. We never forget that. Over twenty years ago, it was the animosity toward religion in the public sphere that took my dad all the way to the Supreme Court. Students . . . wanted to have a Bible club in high school. Now in today’s world, we think of that as a non-issue. They want to have a Bible club or religious club, what’s the problem? There are political clubs; you’re allowed to do these things. But back in the ‘80s, that wasn’t the case; and it actually took an act of Congress to authorize the law, and then that law was challenged in court. It ended up at the Supreme Court of the United States, and I argued that case in 1990s. It involves a judge who had a rule of law displayed in his courtroom. It included the Ten Commandments but a lot of other documents as well, and he called it “Moral Absolutes.” The ACLU challenged it. They tried to get him held in contempt once for a previous case. We won the contempt. They then filed suit again. The court said that the ACLU individuals involved had standing and secondly (and this is what was so interesting here), that it violated the Constitution. This case is now pending, and we think the standing issue—can you simply, “I don’t like to see something, therefore I get to file a lawsuit” is what needs to be addressed. I think if the Court grants review—and I’m hopeful they will; it’s always an uphill battle—it will be because of that. It is a battle that will continue. As long as there are organizations attempting to silence public expressions of faith and politicians willing to implement an incorrect interpretation of the separation of church and state, there will be people like us and organizations like the ACLJ ready to fight any lawsuit, any government, or any politician, any time. 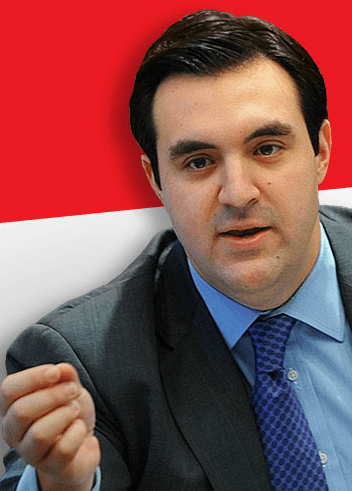 Jordan Sekulow is the Executive Director of the American Center for Law & Justice and the host of the Jordan Sekulow Show. Follow him on Twitter @JordanSekulow.